How do we collectively love God with all our heart, mind, strength and soul – daily? How do we love our neighbor as ourselves/love another as Christ has loved us? How can our embodied witness of the Gospel be Jesus for others? There are many was to phrase the questions above, but they all point to following Jesus and the reason for our community’s existence. LOCATING THE CHURCH IN TODAY’S WORLD. Diana Butler Bass in her new book, “Christianity After Religion,” helpfully frames conversation about the world the church is located. It’s highly recommended. State of Belief: Diana Butler Bass. Rollins Website and Vimeo Video site. Engaging Theology, Philosophy, Ethics and Science. Below are several resources that take science, ethics and theology seriously in conversation with other disciplines of inquiry and learning. Some of these sites have multiple voices and ideas representing a diversity of world views/ideologies that may even conflict with orthodox Christianity. However, the goal of this page is to provide a starting point for helping members of our congregation and others to seriously consider how faith intersects with the world we live in and how we might be better witnesses to the Gospel. Journal of Lutheran Ethics. 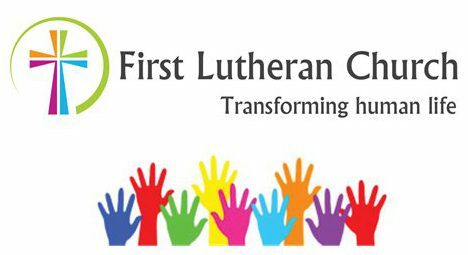 Journal of Lutheran Ethics (JLE) is a free, bi-monthly online publication living out the Lutheran tradition of addressing social issues theologically, using the resources of historical, theological, and ethical tradition, biblical interpretation, and social sciences. ELCA Social Statements. From the website: ELCA social statements are teaching documents that assist members in their thinking about social issues. They are meant to aid in communal and individual moral formation and deliberation. Social statements also set policy for this church and guide its advocacy and work in the public arena. They result from an extensive process of participation and deliberation and are adopted by a two-thirds vote of a Churchwide Assembly. The development and adoption of social statements are guided by the document “Policies and Procedures of the Evangelical Lutheran Church in America for Addressing Social Concerns,” adopted by the 1997 Churchwide Assembly and revised by the Church Council periodically. Faith and Science Youth Curriculum. From the website: This curriculum, titled “Faith and Science,” is designed to help high school students think about the relationship between their faith and the science that so deeply impacts daily life today. Each of the three sessions present students with relevant, sometimes challenging scientific research and encourages lively activities and conversation about how their faith intersects with that information. You can download and use the resource as independently or as a whole unit. Covalence (ELCA). Covalence is a monthly online publication of the ELCA Alliance for Faith, Science & Technology. Published 10 times a year, this e-bulletin centers on the places and people where the theology is faithful and the science is credible. Monthly news and feature stories include a variety religion and science topics and profiles theologians and scientists who incorporate faith and science in their lives. We often feature papers and thought pieces on faith and science activity. The atom + Eve project aims to produce sixteen essays and four public conferences between the fall of 2011 and the spring of 2013 and facilitate interaction among a diverse group of scholars working at the intersection of science and faith. Scientists Stephen M. Barr (Univ. of Delaware) and Sten Odenwald (NASA), along with Catholic University theologians Robert D. Miller and James Wiseman, OSB, have provided us with much food for thought and a sophisticated understanding of divine creation in their November 12, 2011 presentations on the Origin of the Universe. Video, audio, and written copies of the lectures from Conference 1 can now be viewed on the Conference 1 page. Evolutionary biologists traced the scientific basis of the origin of life and its development, including that of higher primates and humans. Catholic theologians proposed an enlightened view of the creation of the human soul that is in harmony with scientific findings. Both groups sought to answer questions on the origin of life, from the viewpoint of their own discipline. Print copies, audio, and video of the presentations from April 14, 2012 are now available here. Scientists reviewed studies on the group behavior of higher primates which is homologous to human competition and cooperation, and looked at the evolutionary roots of human morality. Catholic biblical and moral theologians laid out a contemporary view of evil, theodicy, original sin and moral life that is harmonious with contemporary science. A major goal was to offer ministers a more adequate way of addressing the “problem of evil” in a pastoral context. Print copies, audio, and video of the presentations from November 10, 2012 are now available here. Scientists and Catholic theologians examined Divine Providence, the Cosmological Anthropic Principles and new insights gained from a holistic view of science and theology in an increasingly interconnected world. What spiritual benefits can be gleaned from a heightened scientific awareness? Lectures, video and audio of this conference are now available here . The John Templeton Foundation has several helpful resources on their website that takes an interdisciplinary approach to the “Big Questions” of life including morality, evolution, and human character. Does the free market erode human nature? Big Questions Online. From the website: Big Questions Online aims to explore Big Questions of human purpose and ultimate reality and to foster thoughtful discussion of those topics. We feature essays by leading thinkers and writers and invite you, the readers, to join in an author-led discussion. The Center for Theology and the Natural Sciences. From the website: CTNS promotes the creative mutual interaction between theology and the natural sciences. The CTNS mission is carried out through three program areas: research, teaching and public service. The central scientific focus of these programs is on physics, cosmology, evolutionary biology, and genetics, with additional topics in the neurosciences, technology, the environmental sciences, and mathematics. The central theological focus is on Christian theology, ethics and spirituality, with additional attention to the theological issues arising from the engagement between the sciences and world religions. How does the Church engage in respectful, generative conversation in a changing, multi-generational, multi-ethnic and pluralistic context with competing world views? A blog that seeks to locate following Jesus in today’s world from an evangelical perspective is the Jesus Creed. TED Talks. Many people are familiar with and fans of TED Talks including a good number of First Lutheran members and friends. Chris Anderson, TED Curator, has posted a fantastic talk called, “Questions No One Know the Answers To.” Curiosity is good. Questions are encouraged, especially in local faith community! TED has created a forum that is respectful, generative, insightful and hopeful that explores contradictory ideas and diverse perspectives. It would be cool to have such an environment hosted locally by the faith community, wouldn’t it? For example, here are two TED favorites that can be helpful in reforming how the church ministers to the world, “Listening to Shame: Brenee Brown” and the video below, “Sir Ken Robinson, Schools Kill Creativity.” Could Sir Robinson’s critique of a prevailing set of educational assumptions and practices be applied to some of the church’s assumptions and practices in how faith is formed in children and youth? How might Brown’s encouragement to become vulnerable resonate with the kind of community God is forming in the body of Christ? Healing the Heart of Democracy. From the website: For those of us who want to see democracy survive and thrive—and we are legion—the heart is where everything begins: that grounded place in each of us where we can overcome fear, rediscover that we are members of one another, and embrace the conflicts that threaten democracy as openings to new life for us and for our nation. — from the “Prelude” in Parker J. Palmer’s Healing the Heart of Democracy. Religious Conflict, Religious Cooperation: Toward a Field of Interfaith Studies.